It seems everyone wants that “youthful complexion”, which is why so many people search for wrinkle removing creams and skin tightening procedures as they age. In ancient times, people used herbal formulas to maintain their youthful skin and appearance, but the modern era ushered in easier, not necessarily healthier, ways to satisfy those desires. Today, we rely on chemical laboratories and cosmetic surgeons to look years younger than our biological age. Who doesn’t want skin that looks 28 when you’re 53? But many of the commercial creams that promise glowing complexions, contain antibiotics, hormones, and other irritants that can cause drying, swelling, itchiness, and rashes. Fortunately, there are safer alternatives. Here are some helpful tips in your quest to slow the signs of aging and to have a more youthful appearance. Sunshine yields a multitude of wellness benefits…but youthful looking skin isn’t necessarily one of them if you spend more than 15 – 20 minutes in the sun daily. The sun can drain natural oils from the skin and moisture from the body, hastening the skin-aging process. Overexposure to the sun is one of the causes of leathery-looking skin and dark spots, not to mention increased risk of skin melanoma, with over 200,000 new cases each year. Between the hours of 11am – 3pm, the sun produces burning infrared rays, which cause a breakdown in the body’s tissues. Try to schedule your outdoor activities to occur before or after these hours. Also, use sunscreen with a powerful SPF to protect your skin against UV radiation; reapply every one to two hours, especially if sweating or in the water. Wear a hat if you’ll be in the sun for an extended period of time. Avoid hats with wide weaves or holes because the sun’s rays can still get through and burn you. If it’s wintertime, a season that can dry out your skin, causing wrinkles, a light scarf worn across your face can protect your skin from the wind and sun. Wear quality sunglasses. 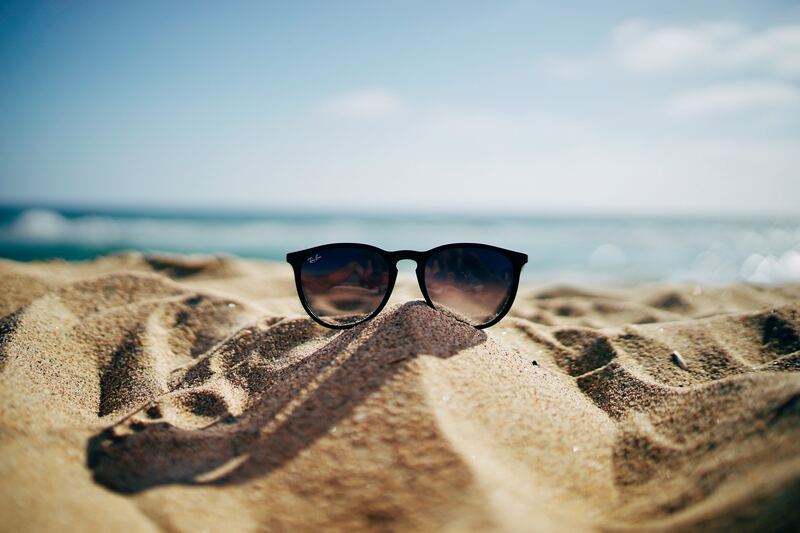 Choose glasses that offer 100% UV protection from the sun’s harmful rays. Wrap-around, and oversized sunglasses, offer extra protection. Also, look for polarized lenses as they will reduce glare and eye strain, which can have an aging effect on your eyes. Physical activity increases circulation, which removes toxic waste from your system while increasing the nutrients that give your skin a healthy glow. Stop smoking. Nicotine and cigarette smoke speed the natural aging process, causing premature skin damage, disease and accelerated aging. Botox and laser treatments: Botox treatments relax the facial wrinkles, preventing them from getting deeper. There are less-invasive skin treatments like IPL (intense pulsed light treatment). Some people also seem to have success with infrared saunas, not just for their aches and pains but for their skin complexion too. Before you pursue any clinical options, you’ll need to decide whether these treatments are right for you, so proceed with caution. And before you do anything, always check with your physician first. Taking care of your skin is probably the easiest thing you can do to keep it healthy and looking young. Moisturize your skin daily, exfoliate it once a week, apply anti-aging creams, drink plenty of water and eat skin-friendly foods (think salads instead of French fries) that keep your skin hydrated and elastic. You might also consider taking a supplement that is packed with antioxidants. Lastly, the best thing you can do for younger looking skin is to get your sleep. Beauty sleep is a thing; you know the drill, we need seven to eight hours of sleep each night for the body to repair, restore and rejuvenate itself. One of the fastest ways to accelerate aging and look years older than your biological age is to miss out on the sleep your body requires for optimal health. Having that youthful glow and younger-looking skin begins with deciding to tweak your lifestyle. Getting enough rest is a great place to start because it reduces stress AND decreases wrinkles. Think of it this way: your lifestyle can give you age compliant skin, where you look your age (or much older), OR, it can give you age-defiant skin, where you have the vitality and complexion of a person half your age!